1. I loooovvvee madeleines! 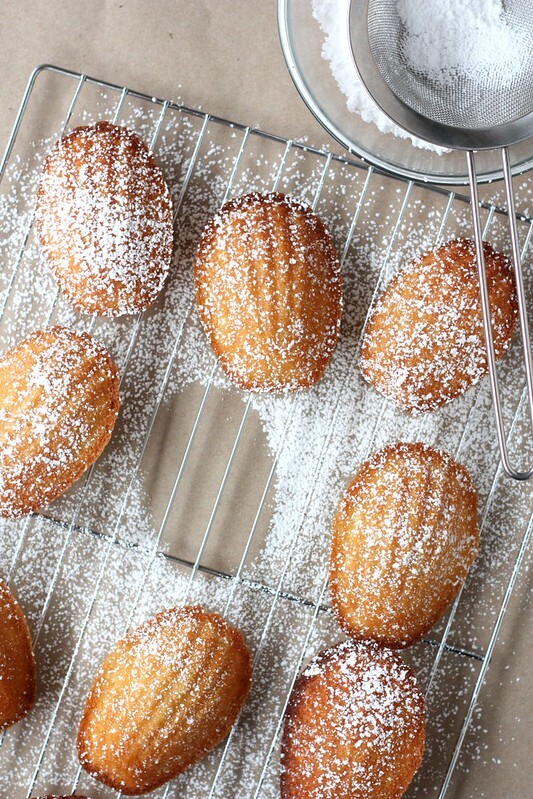 I made chocolate ones before, and I really want to make these vanilla bean madeleines too! 2. Did you ever make homemade almond milk? No? Me neither, but I would love to try it! 3. So, last week I made these Pain au Chocolat Cinnamon Rolls, and I loved them! They're the perfect mix of pain au chocolat and cinnamon rolls, and totally breakfastfood! 4. Yaaay! Over-the-top snickers profiteroles! Ahhh-mazing! 5. Anndddd..... I've finally bought Doc Martens!! Black ones with flowers, I love 'em! 6. These cinnamon rolls look a bit more difficult then normal cinnamon rolls, but o my, I sooo want to make them! 7. And sometimes a vanilla muffin is exactly what you need after all that chocolate and spices!